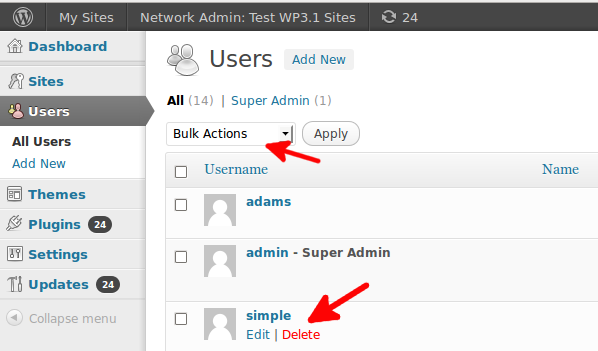 What feature in WordPress administrator interface depends from ‘delete_users’ capability? 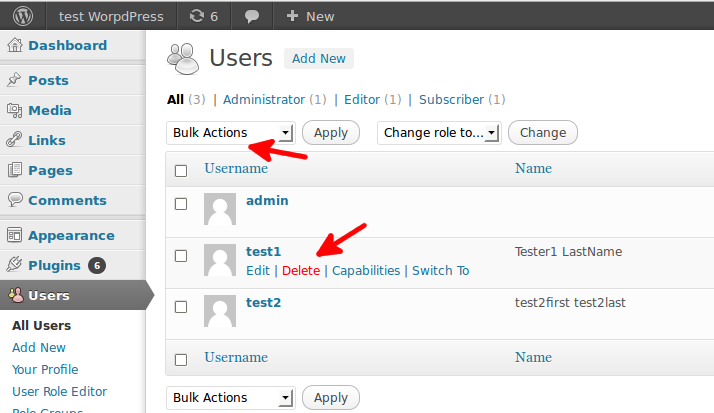 It is ‘Delete’ link under user name and ‘Delete’ menu item in the “Bulk Actions” menu. If user has ‘delete_users’ capability he can see and use this action links, otherwise he can not. All Users list for single site WordPress: users deletion command is executed after checking if you have delete_users capability only. Function map_meta_cap(), which maps meta capabilities to primitive capabilities. This does not actually compare whether the user ID has the actual capability, just what the capability or capabilities are. 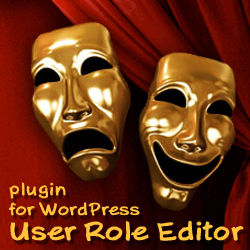 Function is_super_admin determines if user is a site administrator. And for single site WordPress you need to have ‘delete_users’ capability for that. 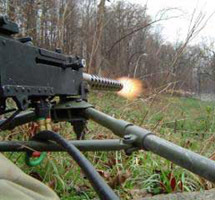 This entry was posted on Monday, April 2nd, 2012 at 10:54	and is filed under WordPress, WordPress Capabilities. You can follow any responses to this entry through the RSS 2.0 feed. You can skip to the end and leave a response. Pinging is currently not allowed.